Yesterday saw Fortnite players around the world jumping into matches to witness the game's second real-time event, this time with a focus on the mysterious cube which has been causing all sorts of trouble in recent times. 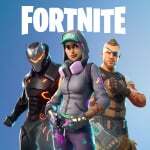 As is often the case with Fortnite, the event raised more questions than answers, but it's certainly succeeded in exciting the player base once again. 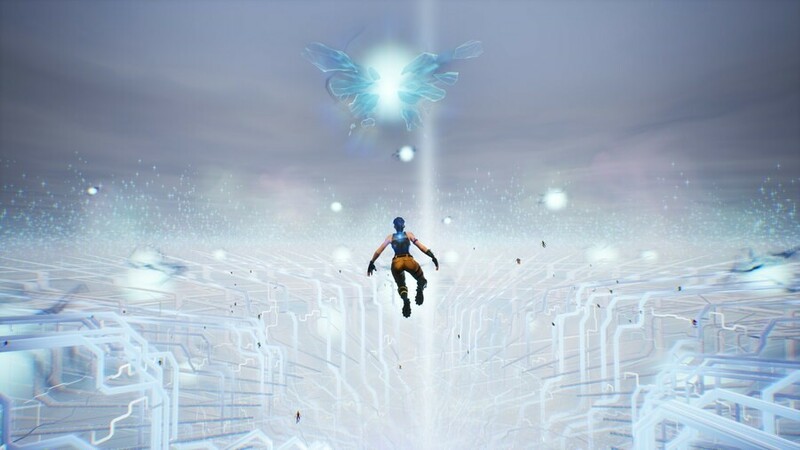 Just like Season Four's rocket blast-off event - which saw said rocket zooming all around the map and eventually leaving giant cracks in the sky, paving the way for Season Five - this event could only be seen at a specific time, with players having to sign in and watch it happen in the moment. At first, the giant cube (which has lovingly been nicknamed Kevin by fans) began to rotate in the sky, with streaks of lightning emanating from its core. Soon, and after quickening the pace, it exploded. It was then that things got really weird. Players were temporarily transported to a new, very white, very surreal dimension, with everyone simply floating around unable to do anything other than watch. A giant butterfly soon emerged in the sky, flying down to greet the player, before the game decided to fire everyone back down to the map into a new area featuring a rainbow. You can see it for yourself in the video below. Whether you're a Fortnite pro who loves everything about the game, or violently against the idea of its very existence for reasons unknown, it's hard to ignore the excitement and spectacle that a real-time event can bring to a game. Players are naturally unsure what will happen next, and seeing the usually familiar world of your favourite game suddenly evolve before your eyes is wonderfully engrossing. Did you jump into a match to watch the event unfold? Would you like to see games such as Splatoon 2, or even Zelda: Breath of the Wild host huge in-game events like this? Let us know below. Sorry I missed it. Looking forward to those zombies finally being gone. Since touching that butterfly, I cant get a game!! Im really impressed at their ability to pull off real-time, map changing events like this. Watched the rocket launch with my sister and then watched this with my partner and was blown away both times. We were both very confused when everyone was floating and we were suddenly nowhere near each other. Then when all is said and done, there’s ANOTHER free item for doing challenges just after we got a lot of free stuff for Fortnitemares. I love this game. Basically accompany your game update with an interactive cinematic. Fortnite's showing us how it's done, but the recipe applies to any updateable game.